Posted on January 24, 2018 at 12:24 pm. 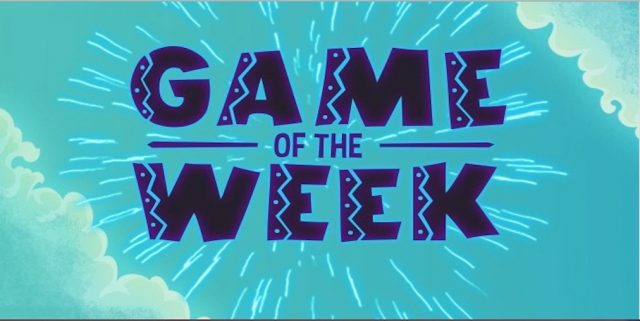 Mucho Vegas is serious about online slot games, that’s why every week the casino gives registered players 20 free spins to use on its selected Game of the Week. This week Mucho Vegas’s Game of the Week goes to Thunder Bird, a five-reel video slot from software developer GameArt, which features a mystic Native American theme and comes packed with special features like bonus multipliers, sticky wilds, free spins and a gamble feature. As well as looking awesome, Thunder Bird offers some huge winning potential for real money players. 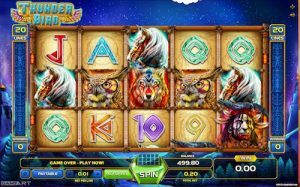 The appearance of three or more scatter symbols will trigger 10 free spins, where all wild symbols become sticky symbols and stay on the reels for the duration of the remaining free spins. The multiplier value will also increase from X1 to as high as X5 as the spins go on, so players can enjoy some huge rewards here if luck is on their side. To claim your 20 free spins on Thunder Bird, all you need to do is deposit and wager at least €/$100 (or currency equivalent) of real money bets on the Thunder Bird slot game at Mucho Vegas between Monday 22nd and Friday 26th of January. Come Saturday morning, Mucho Vegas will automatically credit your account with the 20 free spins, giving you a nice little boost to kick start your weekend. You need to have a registered account at Mucho Vegas to claim the free spins. If you’re new to the casino, sign up at Mucho Vegas, make a real money deposit and you’ll get a 100% match up to €/$100 on your first deposit, followed by a further €/$1400 in matched deposit bonuses spread over your following six deposits. There’s also 150 free spins up for grabs when you make your seventh cash deposit. At Mucho Vegas, no wagering requirements are attached to free spins, which means that any money you win from your free spins are yours to keep. This is a big plus for Mucho Vegas, as most other casinos impose strict play-through requirements on free spin winnings. However, other terms and conditions do apply to Mucho’s free spin bonuses, including country eligibility requirements, so make sure to read the fine print of this offer before depositing. Sign up at Mucho Vegas today and play the Game of the Week to take advantage of 20 free spins. A new game is available each week, so be sure to bookmark Mucho Vegas and check back regularly to see what game is eligible for free spins.